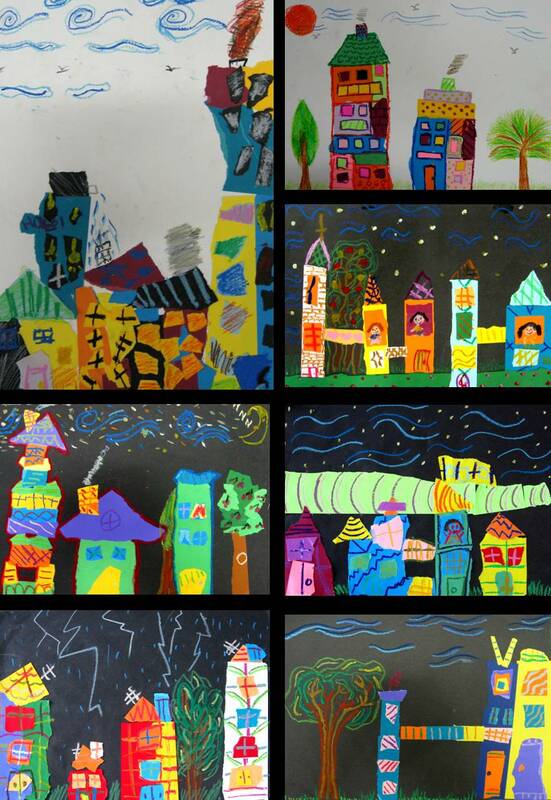 Pupils learned techniques of Collage (tearing and pasting) in this course with understanding of Shape and Part-Whole model in creating Artwork on subject of ‘buildings’ based on theme of ‘My Neighbourhood’. They were given a context on Collage with stimuli of pictures on our local neighbourhood. 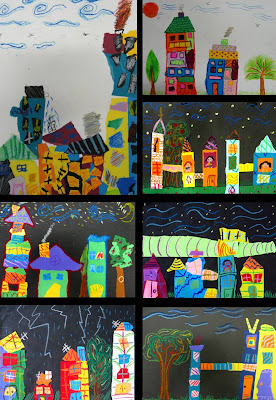 They built up their colourful buildings with torn-out shapes before detailing them with oil-pastel. Composition skills with understanding of background and perspective were taught in ensuring well-composed final-work.